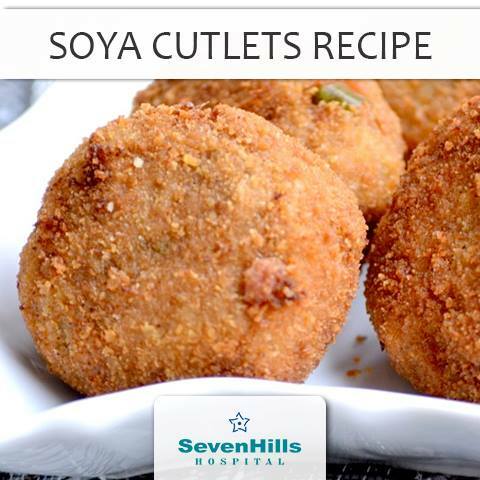 Home Food & Nutrition " Soya Cutlet "
1. Wash and soak soya. Ensure the chunks are soaked well and absorbs water. 2. Drain, squeeze out excess water and mince in a mixie. 3. Add ginger-garlic, onions, green chilies and curry leaves to fine pieces and sauté in that order in 2 tbsps of oil. 4. When the colour turns to light brown, add salt, turmeric, coriander and chilly powders. Saute and mix well. 5. Add the minced Soya chunks and sauté for a few minutes. At Sprinkle a few drops of water, cover and cook for 5 more minutes in minimum heat. 6. Add the garam masala, pepper powder and chopped cilantro. Mix well. 7. Add the boiled (potatoes-peeled and mashed), mix well and remove from fire. 8. When cooled shape into cutlets, dip in beaten eggs, roll in bread crumbs and fry in oil until golden brown in medium fire.